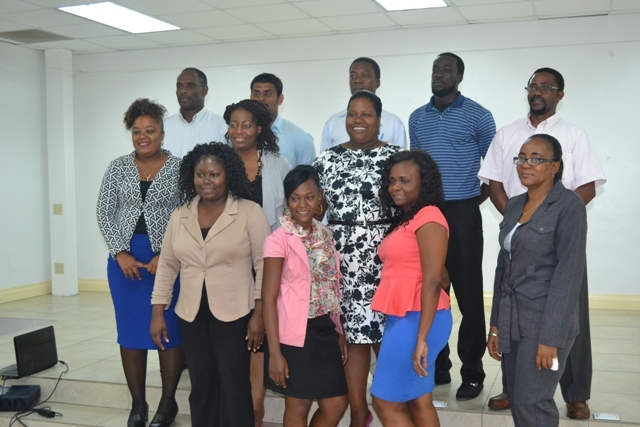 NIA CHARLESTOWN (April 18, 2016) — Recipients of a three-day training workshop offered by the Small Enterprise Development Unit (SEDU) from the Caribbean Development Bank through the Caribbean Technology Consultancy Services (CTCS) network now have a better understanding of project writing, implementation and monitoring. 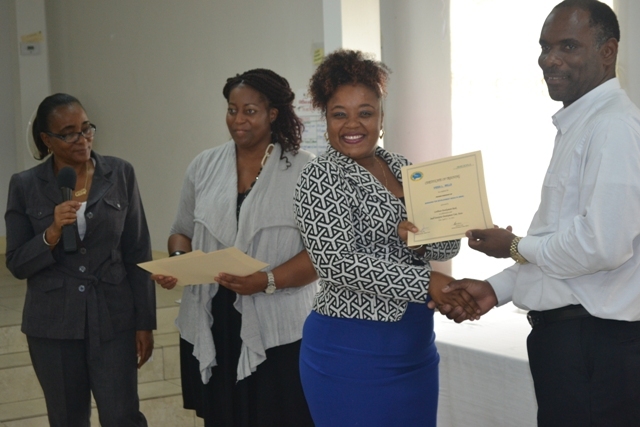 The training, conducted under the theme “Management for Development Results for Business Support Organizations” took place at the St. Paul’s Anglican Church Hall and ended on April 14, 2016. During the closing ceremony, co-facilitator of the workshop Nicole Liburd said the participants were divided into three groups. Each one was assigned a concept for which they were expected to develop viable projects using the techniques they had learnt during the training sessions. The concepts were to construct a dual purpose community and health centre in the community of Jessups, to construct new facilities including refrigeration, storage, changing rooms, bathrooms and selling areas for fisher folk of Newcastle and to construct a new tourism visitor centre at Market Shop in Gingerland. The three groups of participants presented their projects at the end of the training. All participants were awarded with certificates of training for successful completion of the workshop. Permanent Secretary in the Ministry of Finance Colin Dore who was on hand for the presentations, commented that he was heartened by the extent of the ideas presented. He said such training would allow the Nevis Island Administration to formulate local projects and widen the scope for international funding agencies to assist in the development of ministries, departments and by extension the economy. Meantime, Dore applauded the initiative to utilise local facilitators for the training workshop. He said it is a demonstration of their ability to impart knowledge to others and an indication of their exposure to international standards.